Holly: "I guess, more comfort than anything." Cuties mixing layers, textures, colors and looking all around perfectly prepared for an evening and night at Fort Mason. 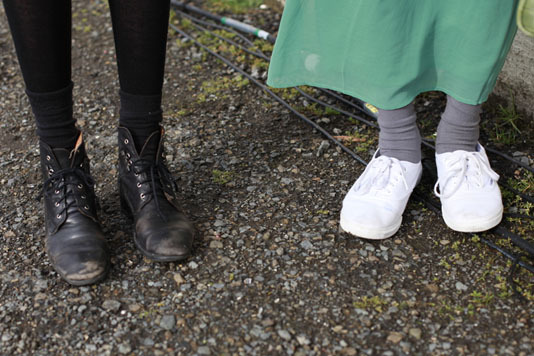 A close look at their different, yet equally practical shoes. They've both done a nice job of layering here. I especially like Holly's green skirt and Brydie's adorable haircut.